A visit to Singapore won’t be complete without enjoying a meal or two at their convenient, famous hawker centers. These hawker places are known to provide quality dining experience to satisfy guests without making them break the bank. With Singaporean cuisine’s rich infusion of cultural influences (Chinese, Indian, Malay and Indo), your meal at one of these stalls is surely something to look forward to! Learning how to chope and how choping works in Singapore hawker centers is ideal especially if you’re planning a visit soon. Guests leave small packet tissues on tables purposely – indicating that this particular table has been reserved or “chopped”. Other items which are commonly used to chop a table are pens and even smartphones. So, don’t be surprised at the sight of these items on the tables especially on a busy night! In accordance with local laws, each hawker stall is obliged to prominently display a rating to let people know how safe the food they serve are. The ratings range from A, B, and C. You can eat in peace at hawker stalls with A and B ratings – but Cs are considered to be for the brave of heart! We’re not saying you shouldn’t try the food these C-rated stalls offer. It’s just best to eat with caution. If there’s long lines for the latest iPhone release, there’s also long lines when it comes to hawker food! Singaporeans are known to vote using their feet. Meaning, there’s a good reason behind why there’s a long line in front of a particular hawker stall. If you want to try a meal that won’t disappoint, join in the queue and point at what the person before you ordered. Be adventurous during your visit at the Lion City. Chicken rice is known to be a staple Singaporean meal option, hence it’s not a surprise to know it is considered as one of the city-state’s national dishes. While trying chicken rice over your visit is ideal – don’t limit yourself to all-chicken rice meals throughout the duration of your stay. Try other local favorites: such as rich noodle soups, fish head curry, oyster omelet, and pig organ soup. That way, you’ll surely get a grasp of the island’s authentic local cuisine. Older hawker centers are considered to be a better dining option for tourists, since they have no air-conditioning. This allows you to enjoy your meal in a great ambiance with an authentic Singaporean dining feel. Modern and new hawker centers tend to be located within temperature-controlled settings, so you are most likely to pay more and even miss out on some classic, signature local specialties tested through time. Are there Affordable and Healthy Hawker Center Foods in Singapore? Singapore won’t be complete without its renowned hawker centers scattered across the island. These hawker stalls dominate the local food scene – with both loyal patrons and foreign tourists eager to taste what each hawker center has to offer. It has even become a significant part of Singapore’s rich dining history. What’s more fascinating is the good reputation these hawker food items possess. They are served bearing excellent flavors and taste at such affordable prices. The next time you visit Singapore, you don’t have to worry about breaking the bank when dining at hawker centers! You don’t have to go to high-end Singapore restaurants just to taste worthwhile meals. Hawker centers are known to serve authentic and flavorful local Singaporean dishes priced at a very justifiable value. The average meal ranges from around 2 SGD to 10 SGD (for meals with seafood). But most dishes served in hawker centers are priced at 5 – 7 SGD. Although hawker food items are notorious for their heavy oil and fat content (like the traditional char kway teow), there are healthy options you can opt for if you want to clean your palate. For instance, Han Kee at the Amoy street food centre offers an amazing fish soup. It’s light, yet it doesn’t compromise on the burst of flavors. Another healthy food option is the Popiah – filled with carrot, lettuce, grated turnips, cucumber, bean shoots, shallots, and meat. It is all rolled up and served as a deliciously healthy morsel. •	Tekka Centre – Conveniently located in Little India, the Tekka Centre is famous for serving delectable Halal and Indian food. If you’re craving for the rich flavorful kick of Indian cuisine, then this is the place to be! It is also a wet market where you can buy meat, fish, fruits, and vegetables. •	Newton Circus – Newton Circus is arguably one of the most affordable food courts located near Orchard Road. Local patrons love the seafood option in this hawker center. Sambal stingray, oyster omelet, and carrot cake are among the food items you must try. •	Tiong bahru – Among the popular hawker center options, Tiong Bahru stands out because of their delectable fish items. You may also opt to enjoy New Zealand and Australian beef at reasonable prices. •	Lau Pa Sat – Located within Singapore’s central area, Lau Pa Sat offers scrumptious local food fit within your budget. The place is famous for their delicious satay meals. It also has a great ambiance for guests to enjoy eating their food. •	Maxwell Road Hawker Centre – If you’re near Chinatown, drop by the Maxwell Road Hawker Centre to satisfy your hunger! It is considered to be one of the best all-round hawker centers in the city-state. With so many meal options to choose from, you will surely have a delightful dining experience at Maxwell. •	Chomp Chomp – Locals love Chomp chomp, so it’s not a surprise that many voted the place as the best hawker center in Singapore. Chomp chomp is packed like sardines almost every evening – with both loyal patrons and tourists visiting the dining center eagerly. Punggol District is a district situated in the north eastern portion of the country. Currently there are proposals to covert the district into a housing estate or residential Housing Development Board new town (Punggol New Town) under the Punggol 21 initiative which has started to come about in the southern portions of the district adjacent the nearby Sengkang New Town. Tanjong Punggol (popularly referred to as Punggol Point) was named as Tanjong Rangon on Franklin and Jackson’s 1828 map of Singapore. The name “Punggol” can also be spelled as “Ponggol” which is Malay for “throwing sticks or stones at the branches of fruit producing trees to bruin the fruits down to the ground”. The term may also incidentally refer to the Tamil term “Pongal”. The Punggol district was formerly a well deep-rooted rural region filled with farm houses and agrarian infrastructures, which were catered to by dirt tracks and roads. A number of the Chinese villagers of the area were taking part in pig, fish or poultry cultivation as well as plantation development and agricultural crop production. The last pig farm in the area was closed down in the year 1990. Organically grown hydroponic orchid farms and vegetable plantations used to thrive along the Buangkok Farmways and Cheng Lim Farmways, together with low-rise residential districts and old kampong areas. Majority of these farms were cleared to give way to tall HBD housing establishments of Punggol New Town and Sengkang New Town. Historically speaking, the district was formerly populated principally by Catholics and Teochews. The edge of Upper Serangoon Road is titled as “river mouth” or “river bank”. Ferries were utilized to transport people, goods and objects across and along the Serangoon River. An old market was also situated in the area. The Catholic missionaries arrived in the area 140 years ago and established schools and churches. The area was formerly home to a Malay kampong which has since been cleared to make way for other developments. Malaysian and Indonesian fishermen auctioned their catch at the wholesale fish market found at the edge of Punggol Port Road. The district is popular to locals for its seafood restaurants; nonetheless these establishments are also doomed to give way to urban developments. Punggol is also well known for boating, water skiing and skin diving. Travelling a place will not be complete without tasting the delicacy or the pride of the place you are travelling in. In Singapore, one’s taste buds will not be disappointed as there are a lot of restaurants and places that offer assortment of good food. Singapore is truly a haven for foodies. This place is a one-stop-shop city for restaurants all over the world. Have a taste of Asian cuisine by tasting some of Asia’s famous delicacies such as Unadons and Orh Nee. 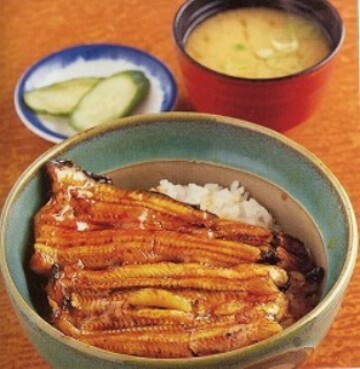 Unadons is a delicacy famous in Japan but can easily be found in Singapore especially in Mikuni, Shin Kushiya, Keyaki, Ikoi Japanese Restaurant and Nadaman. Most of the chefs in these restaurants are really from Japanese descent. Malaysian cuisine especially the Orn Hee can be tasted in Tien Garden, Swa Garden Teochew Restaurant, Chao San Cuisine Liang Kee and Teow Chew Meng. Chicken dishes such as the famous Buffalo wings, roasted chicken and chicken pies are served in different styles and flavour in restaurants here. The best chicken pies are baked and served in Swiss Link, Cottage Pies Cafe, The Gourmet Pie Company and The Pie Kia Shop. Buffalo wings are marinated to their great taste and cooked perfectly in restaurants like Wings World, Buckaroo BBQ & Grill, Brewekrz, Spathe Public House, Sunset Grill & Pub and Bobby’s Bistro. Chickens roasted to perfection can be ordered in DB Bistro, Bank Bar and Bistro, Toots Brasserie, Cocotte and Level 33. Their roasted chicken is best paired with salad, mashed potatoes or side dish cooked in butter. French bread, Italian Bread, Singaporean Bread, bread from China and all other types of bread there is can be bought fresh from the oven and still hot in Singapore. Artisan Boulangerie Co., Maison Kaiser, TIong Bahru Bakery, Paris Baguette Cafe and The Bread Project boast their incomparable croissant. 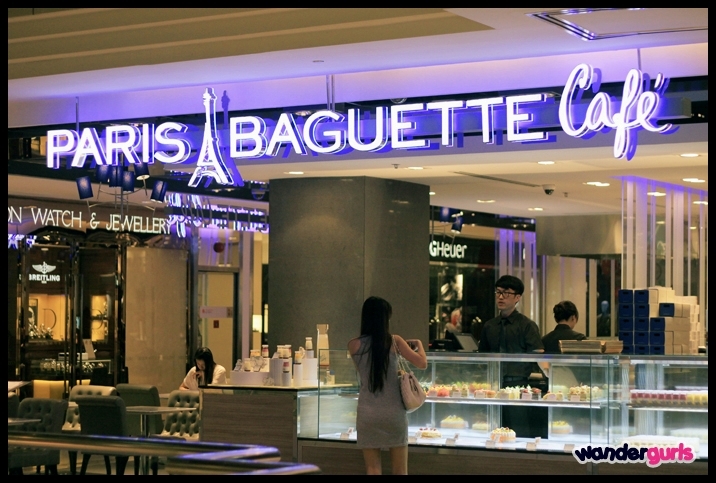 Croissant and bread enthusiasts must not leave Singapore without visiting one of these bakeries. As a cherry on top, have a stop at The White Rabbit, Laurent Bernard Chocolatier, Wooloomooloo Steakhouse, Le Bistrot Du Sommelier and Cut by Wolrfgang Puck to grab some luscious soufflés for dessert.